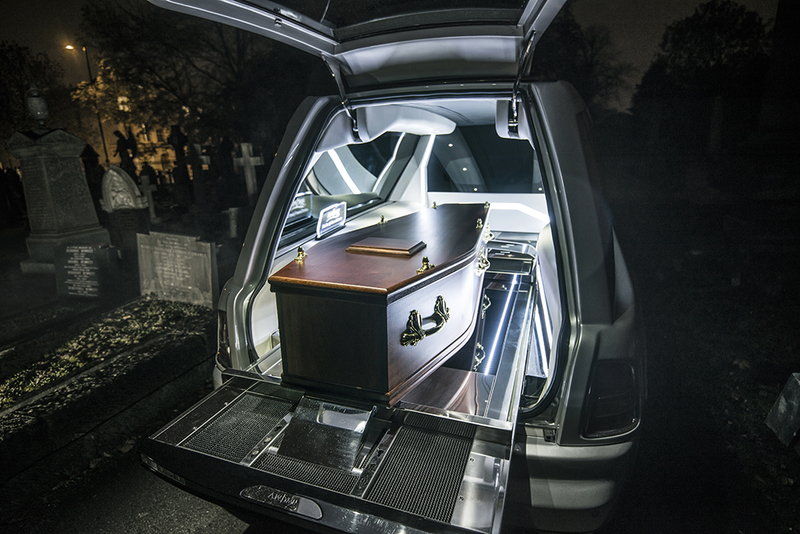 For Halloween 2014 I embarked on quite a unique shoot for A W Lymn, a family run funeral service. 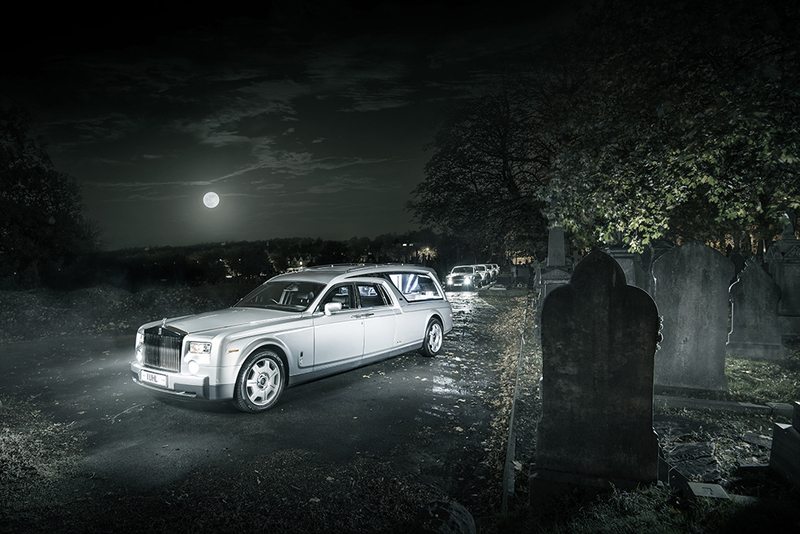 The aim of the shoot was to show off their new Rolls Royce Phantom Hearse and their fleet of matching Phantoms and to also to get as much exposure in the press as possible for the company. In all aspects the shoot was a large success, their social media grew over 437% in total size in the first 5 days since the shoot was released and we made it into several large publications including the Sun Newspaper! 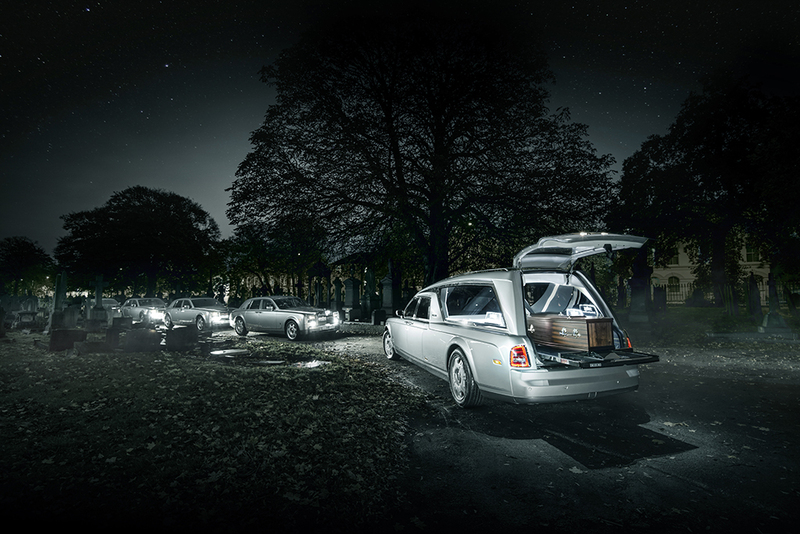 This Rolls Royce Phantom is a bit different to anything you’ll have seen before I think. 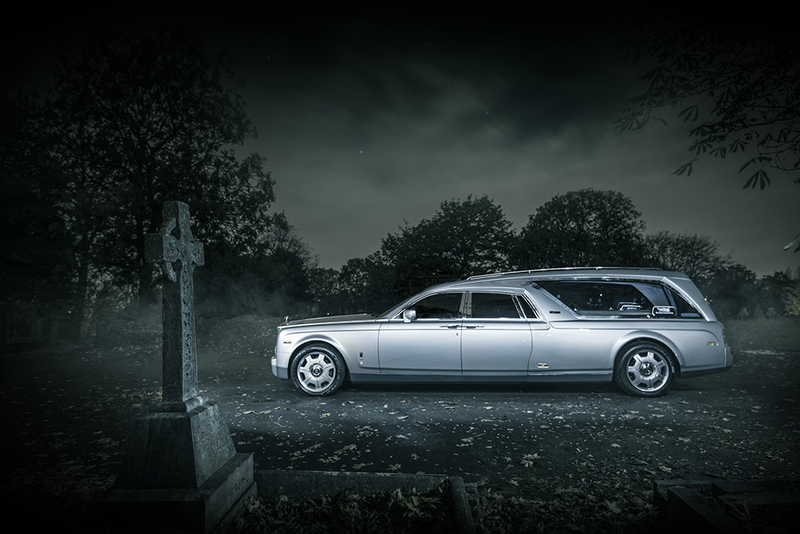 Costing a reputed £500,000 to build, this is the first Rolls Royce Phantom Hearse in the world available to hire. 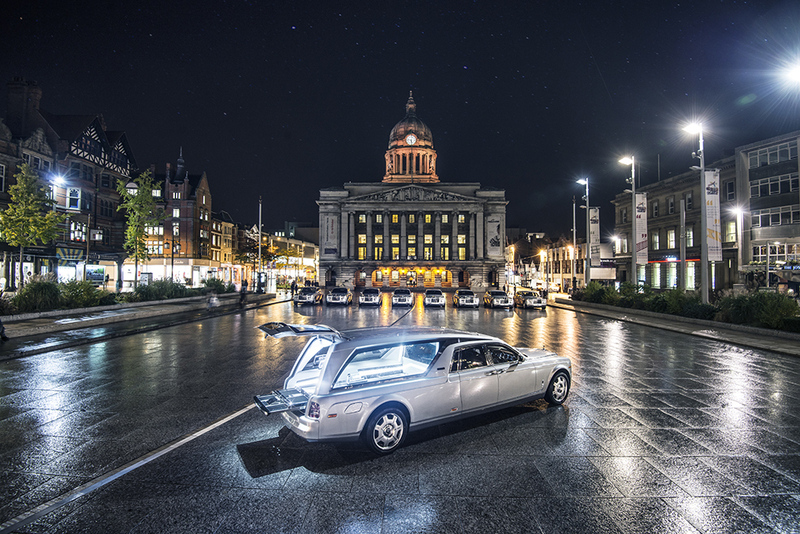 The project has taken a number of years to come to fruition and A. W. Lymn are very proud to have brought this one of a kind Phantom Hearse to Nottingham in the United Kingdom. This below photo was especially special as it shows the grave stone of Arthur William Lymn, the founder of the company several generations ago so it was nice to show how far they’d progressed in this time. 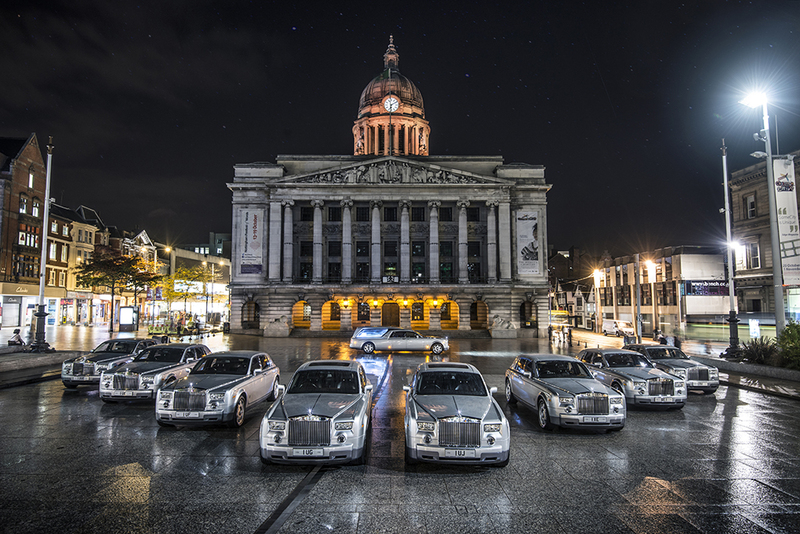 As well as the graveyard we also took over Market Square in Nottingham to get some spectacular photos of 8 of their Phantoms with the Phantom Hearse. Market square is the biggest pedestrianised area in Nottingham, so to get photos without any people in them was no easy task. Huge thank you to all involved in keeping the square clear, I think we’ll all agree it was worth it! 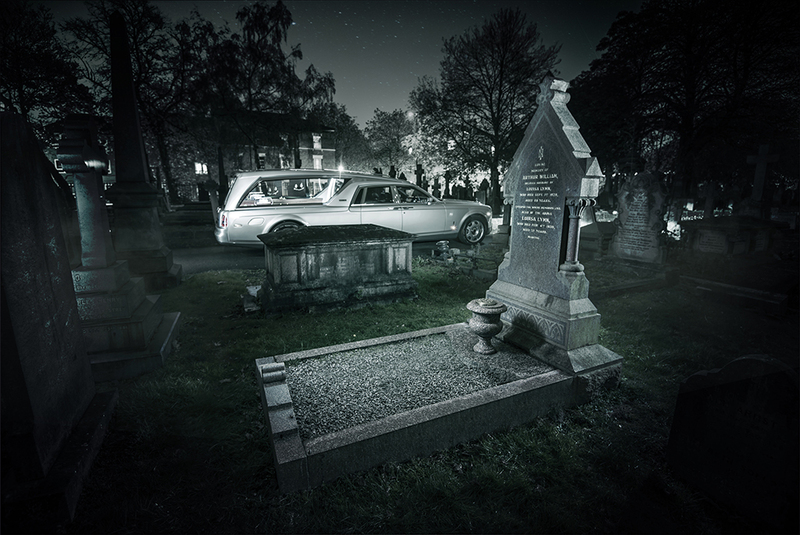 Here is the snippet of the Sun which featured the Phantom Hearse!